I watch a lot of baseball. If you are reading this, I assume you do too. How many times do you sit in front of the television, or read an article about your favorite team and think, “What in the world is my manager or general manager doing to this team?” I’m guessing it is often, even for those fans graced with quality professionals in both positions. If you own an Apple iOS device (iPhone, iPod Touch or an iPad) which is constantly at your fingertips and love sports sims, there isn’t one better than iOOTP Baseball 2014 Edition by Out of the Park Developments. I’ve been playing this game for years now and the newest version is truly exceptional. Real Opening Day 2014 rosters - Every player on every major league team is available, along with the top 20 minor league prospects for each team. Major league player ratings are based on PECOTA by Baseball Prospectus, the best player projection system available today. Player Editor - Players can edit everything from names and biographical information to hitting, fielding and pitching ratings. As was the case in previous editions, the game hits every facet of running a real life MLB franchise. It is still very addicting as I found myself occupying complete plane rides managing my fictional team with an iPad in my lap, and then looking forward to finishing the next game or several games later in the same day. There are three variations of play; Major League, Fictional League and Historical League. I decided to play a Major League season with the 2014 New York Yankees. I wish I could say that I made the team better but they finished outside the playoff picture with an 87-75 record. Anyway, after selecting a team you are given the owner’s perspective and expectations for the coming season, a budget and the ability to set your rotation and bullpen, create depth charts and lineups to use against right/left-handed pitching. You can select how aggressive you are on the bases and where you place your fielders in respect to situations (yes, there is shifting). The game in general can be played at a slow methodical pace or there are plenty of chances to advance the game through various simulations; whichever you choose. I used both methods throughout and the simulation does a pretty good job of sticking to any criteria set up in advance. But, the true fun of it for me is playing the actual game day by day. In each game you have full control as the manager. You’ll have the ability to make any play imaginable. If you decide to use the simulation advances, they are available to start the third through ninth inning, or the next inning or half-inning based on where you currently sit and it will use your strategy which is again you've predetermined and can be altered as the season progresses. As the season moves along players get hurt (I lost Derek Jeter and Brett Gardner to very lengthy injuries) and some players become disgruntled because of playing time which in turn can affect their play on the field (Ichiro Suzuki). A player's morale is not just for your starters, but also for the bench players and the minor leaguers looking for a shot at the show so you need to check on this often. As a general manager you can propose trades and run the rookie draft as well as manage a complete minor league system. When do players make their way to the 40-man roster, or the 25-man roster? Whose contracts are going to be extended, or which ones will you dump? Is someone going to get Wally-Pipped? Once July hits, the trade chatter picks up just like it does in Major League Baseball. Most of the trades proposed to me were often far-fetched, but you can reject or counter them, and of course you can reach out to other clubs with your own offers. I played straight through one season and after making some suspect moves (some purposely to see what would happen, like allowing the young player’s time to shine; some did well and some didn’t). 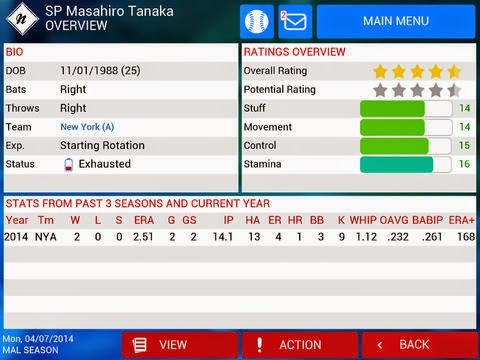 Yes, Masahiro Tanaka was great! The offseason is much like MLB too. There are arbitration hearings and free agent negotiations. 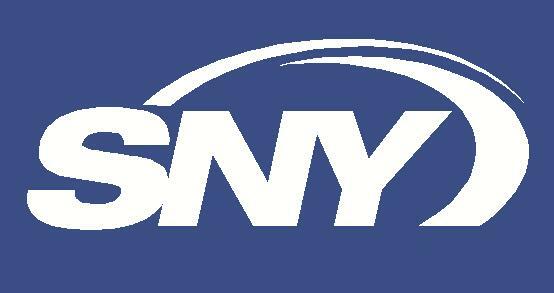 Your owner sets a new budget and expectations for the upcoming season and away you go. Again, you can manually perform as much or as little as you want here. There is always the opportunity to let the software decide your fate based on your criteria. The game remains very enjoyable and hard to put down. The ability to change the type of variation, allowing seasons to transpire one after the other with the same team and having the chance to select from loads of teams makes it a game that can be played over and over without the same results. I strongly recommend it to anyone who plays other baseball simulation games or still has their Strat-O-Matic collecting dust. 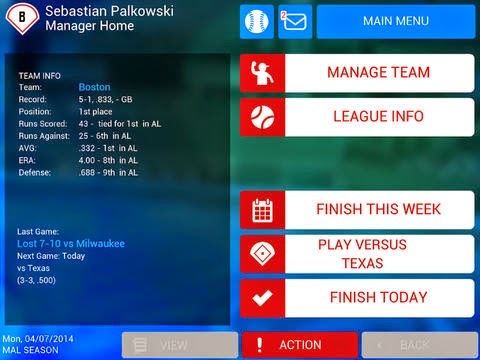 For those of you who do not own an Apple device, Out of the Park Developments also released OOTP 15 in April which is available for PC/Mac/Linux. The game is even more intricate than the iOS version. For more information visit their website. Finally, Out of the Park Developments has provided me with some free iOS codes to iOOTP Baseball 2014 Edition to give out. I’ll do this in three fashions. One will go to the most creative comment left on this article describing what your first move as general manager would be for your favorite pro team using iOOTP 14. I’ll give one week from the publishing date to make a selection. The other two codes will be given out to followers of The Baseball Stance Facebook Page and my Twitter account so look for specific posts there about the giveaways in the coming days. Christopher Carelli is a freelance sports writer/editor and the Director of Content Strategy for Sportsideo.